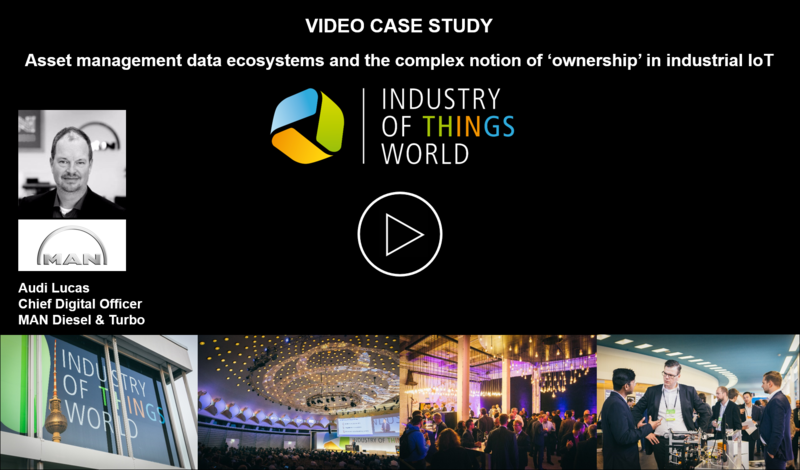 Fill in the form below to view the case study from Audi Lucas, Chief Digital Officer at MAN Diesel & Turbo sharing his insights on asset management data ecosystems and the complex notion of ‘ownership’ in industrial IoT. What is needed is a secure intermediary that allows businesses to share information without exposing risk? What platforms exist already and what are their weaknesses? How can we design a platform so inter-connected parties to share insights without risk?